The old culture is broken - highly dysfunctional and terribly corrupt. The areas of food, finance, energy, healthcare and media are all dominated by a few corporations, and all driven by the singular goal of profit. Government on every level has been corrupted by the 1%. It is this motive of greed that must be stopped, and replaced with the far superior goal of human health and happiness. The World Five Platform articulates five areas of focus which, if embraced, can have a dramatic effect on our civilization. We can end war, repair our broken government, create thriving communities, revamp our food system, and replace propaganda and distraction with understanding. The real challenge is for we, the people to rise up and create the change we wish to see. Already we have tremendous energy for healthier and more sustainable practices for living. We must further this energy into a movement that reverses the current trend that destroys our quality of life and our planet. Indeed, this is why I'm running for congress. Please join us! The World Five Platform Video"
1] We can have PEACE in our time. Peace is our first priority in this violent and war-torn culture. We refuse corporate and nation-state efforts to destroy life and land for profit, and are committed to peace in our lives and in our world. We actively engage in creating peace through our neighborhoods and communities, and demand the goal of peace from our elected officials. Without peace our communities are wounded or broken. Instead what must be broken is the long cycle of violence and war. Don't pull the trigger. Don't push the button. Do not allow yourself to be a slave to a broken system. Recognize that we all share in this life, and join us to find a new way forward. 2] GOOD GOVERNMENT enables a vibrant culture. 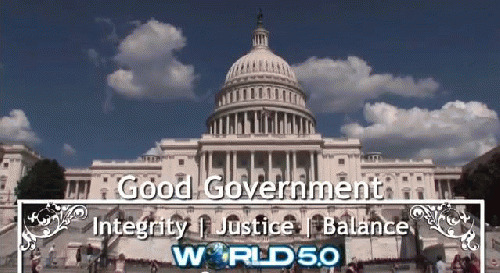 Good government depends on integrity, justice and balance. We can no longer tolerate our government undermining the common good for special interests. As citizens, it is up to us to create and ensure good government. Democracy is not a spectator sport. We know now that our government has been twisted by moneyed interests, and does not serve the common good. We know too, that this unholy condition will not change without citizen action, from the voting booth to activism and changes in lifestyle. Engagement creates the change we need. 3] LOCALISM is the key to jobs and abundant communities.